Talk about "the" pentatonic scale generally refers to the major pentatonic scale and its relative minor, but it's a mistake, indeed, there are different types of pentatonic scales. 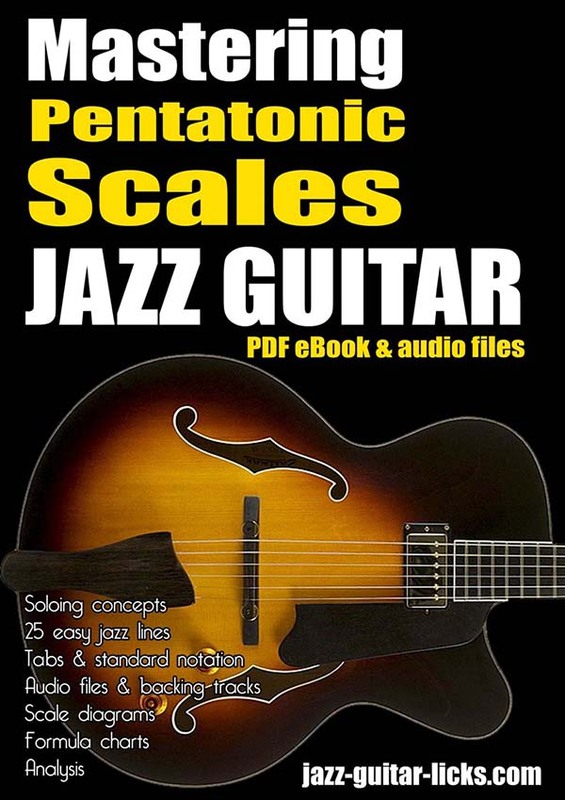 The first chapter explains how to develop pentatonic scales using melodic patterns and cycles. The second provides soloing ideas using only pentatonic scales. These soloing concepts will help you expand your improvisation skills in order to play over the main chord changes found in jazz music like major II-V-I, II-Valt-I, minor II-V-I, turnarounds and other common progressions. 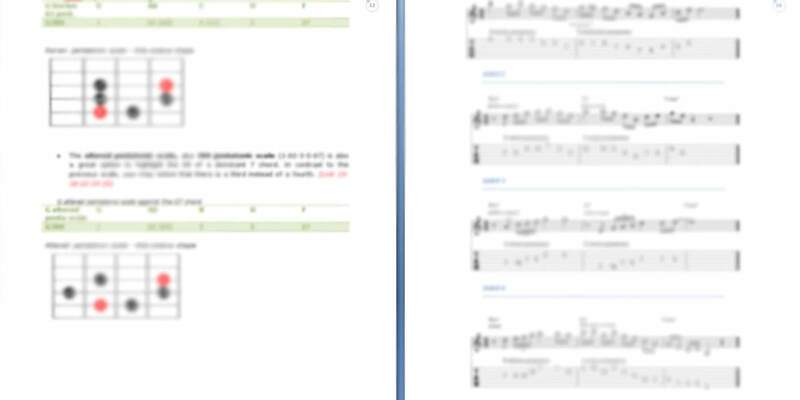 These non-traditional soloing techniques are explored through 25 jazz guitar lines with tabs and standard notation with 25 audio files (one per lick) and 2 audio backing tracks (minor and major II-V-I progressions).